I has come to our attention that there is a paper posted on various Facebook groups and pages as a scientific reason not to cull elephants saying it disrupts the social order. Some claiming that the calves will turn rogue and become problem elephants from the trauma of the family culls. There are some people who are totally, truly and ONLY concerned about the disturbing effects that culling has on elephant herds at the social and individual level structures, and I am sure that their studies produce genuine results. However, such people tend to ignore the very much greater harm that occurs to the elephants’ ecological circumstances and to their entire environment, and to their very existence into posterity, when essential culling does NOT take place. There are far more important considerations within the elephant culling controversy, than the effects that culling has on elephant calves and on surviving elephant social orders. The main consideration is that elephant populations that require culling – or more importantly they require major ‘population reduction’ – can all normally be classified as being EXCESSIVE in number. And if culling does NOT take place at the appropriate time, the population’s numbers will very quickly increase to the point of being EXCESSIVE. An excessive population is one the numbers of which exceed the sustainable carrying capacities of their habitats. Excessive ELEPHANT populations – to stay alive – HAVE to eat more vegetation in their habitat every year than nature can produce every rainy season (which is the plant growing season). This has happened because there are now too many elephants in some game reserves. That means the elephants are, every year, progressively eating more and more of a constantly shrinking plant food resource. In other words, every year the habitats become just that little bit more degraded. Piece by piece, therefore, the more sensitive plants in the habitats are eaten into extinction . Whole plant communities – containing the elephants favoured plant food species – disappear. The first plant extinctions are the favoured plant food species. And then animals – from butterflies to buffaloes – are rendered locally extinct because their habitats have changed so much they can no longer sustain the badly affected animals. In Kruger National Park, South Africa, for example, the marula tree is now almost extinct; and the knobby thorn tree – and several other Acacia species – are virtually gone. The physiognomic nature of the landscape has changed, too. First of all the woodlands thinned out; then all the big trees disappeared; then they degraded to scrublands. In Kruger “more than” 95 percent of all the top canopy woodland trees are now gone. The continuous canopy habitats in the tree tops – essential for species like squirrels and bush babies – has now gone; and birds like the majestic Martial Eagle and the Ground Hornbill are in serious decline (because the trees they need to breed in have been destroyed). And when the animal species loss starts to spiral – from buffaloes to butterflies – the crash will continued until there is nothing left. After that we will have oblivion. The loss of plant cover increases soil erosion. Vast areas of sheet erosion occurs – where layers and layers on top soil are lost when trillions of rain drops, during tropical storms, hit the massive expanses of bare ground that now exists, loosening the top soil particles, and washing them away in the sheets of rainwater that sweep over the bare land. And lower down the drainage the once productive streams turn into deep donga erosion gullies. Plants cannot grow without soil! And animals cannot exist without plants. So when the destructive ultimate effect of too many elephants on the land happens, the entire ecosystem will collapse. The emotive tales of disturbed elephant calves that survive after a culling operation; and disrupted family groups that miss their loved ones killed in a cull, doesn’t wash with me. If such animals survive a cull then the cull has not been conducted properly. A proper cull kills every individual in the herds that are tackled: old bulls; young bulls, cows and calves. They must ALL be taken out. So we should not have to endure the sob stories that emanate from scientists who have nothing better to do with their time. There is absolutely no scientific reason NOT to cull elephants. My own experiences prove this point. I have been involved in many population reduction exercises where three game rangers, with three self-loading rifles, were killing between 30 and 50 elephants in less than sixty seconds. None survived the slaughter. And they were all killed cleanly with single brain shots at very close range. 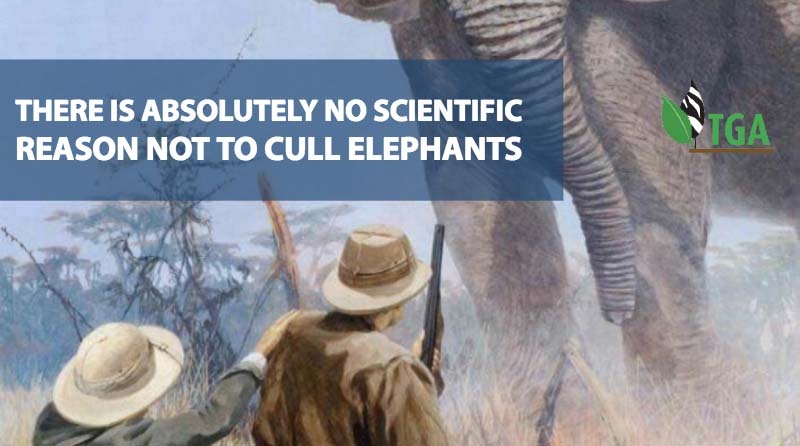 There are, however, some very good scientific reasons why culling SHOULD take place and the most important reason is because elephant culling is the only way to maintain a national park’s biological diversity – that THAT desideratum is the bottom line. The principle national park management goal is to maintain its biological diversity! 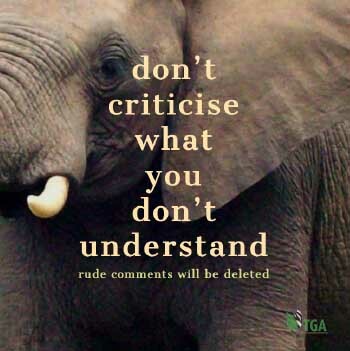 Culling elephants is not a salubrious experience but it HAS to be done. And honest scientists should not get themselves involved in emotional and uniformed animal rights propaganda.